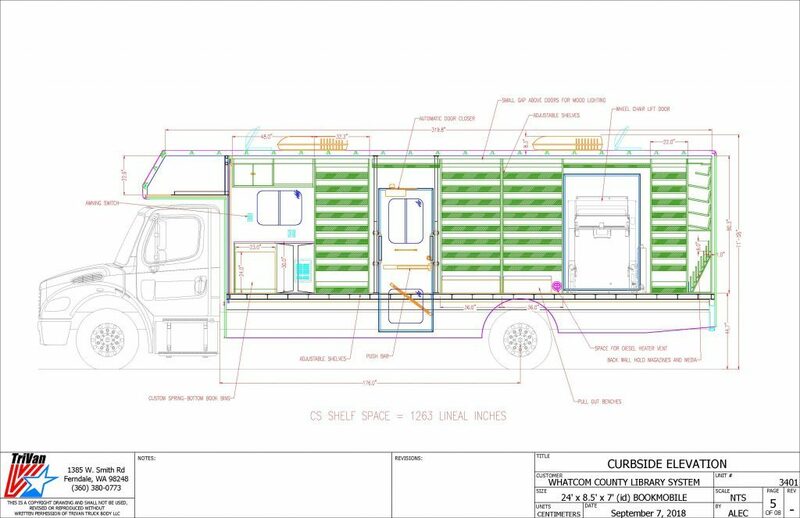 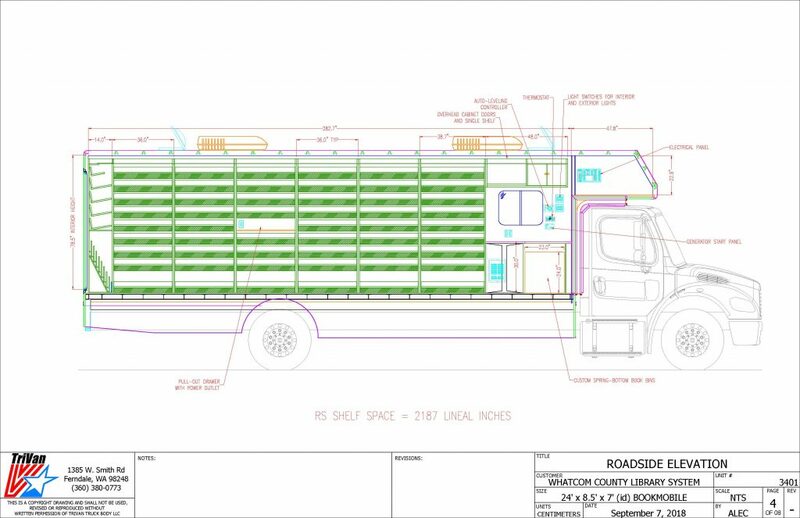 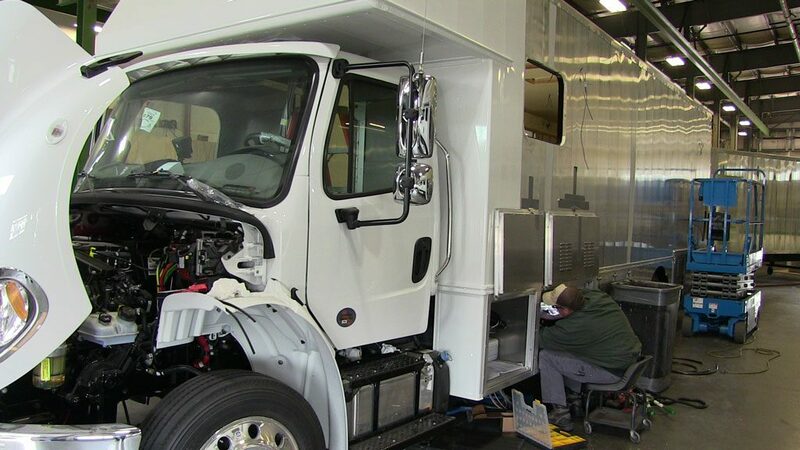 Join us as we partner with local truck body manufacturer, TriVan, to create a custom bookmobile for our patrons in Birch Bay, Wickersham, Glenhaven and Lake Samish. 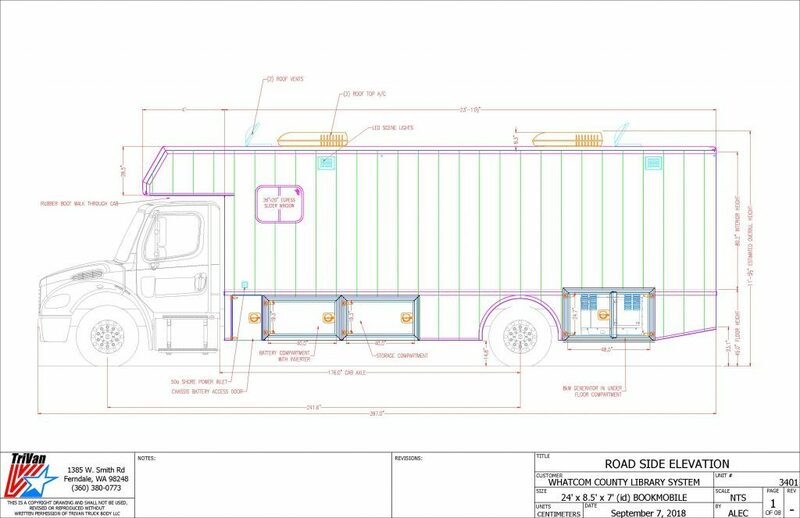 We will post updates and photos showing the progress from month to month until we finally reveal our new bookmobile and drive it off the lot. 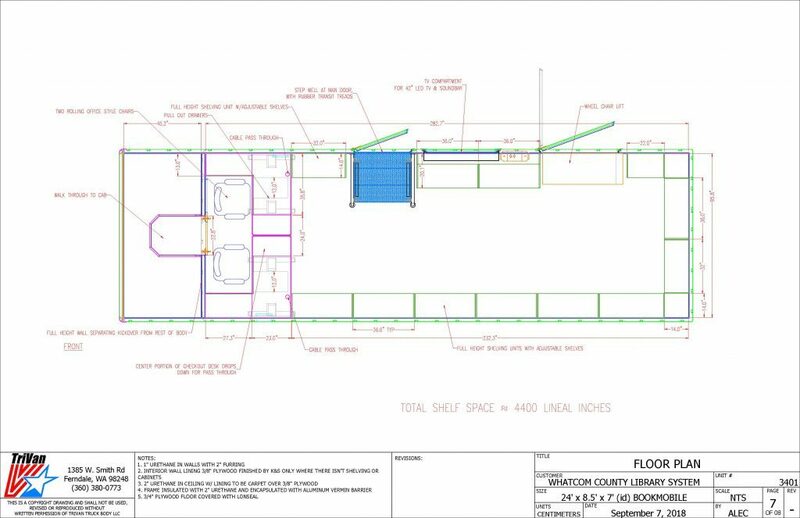 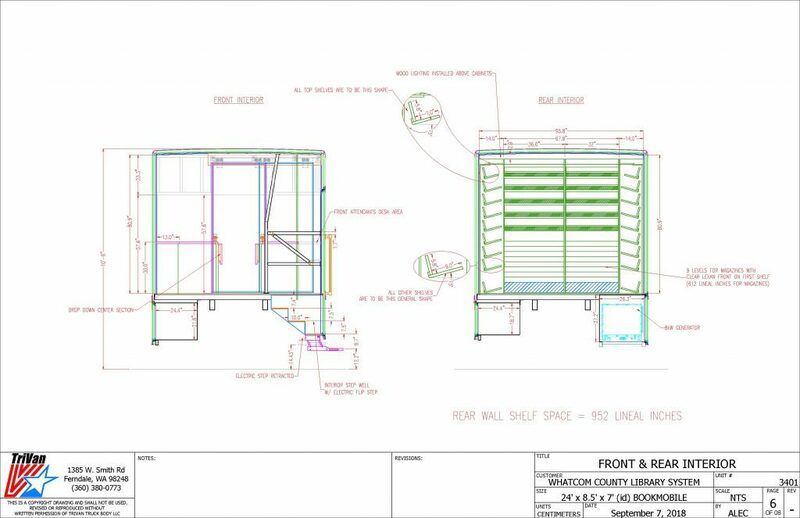 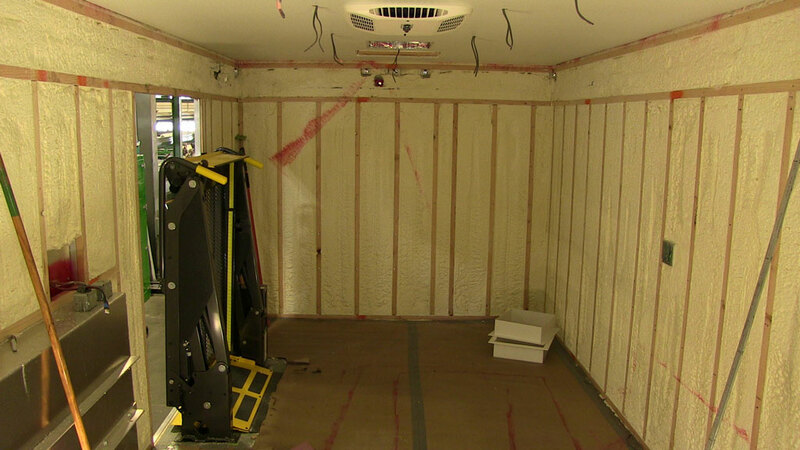 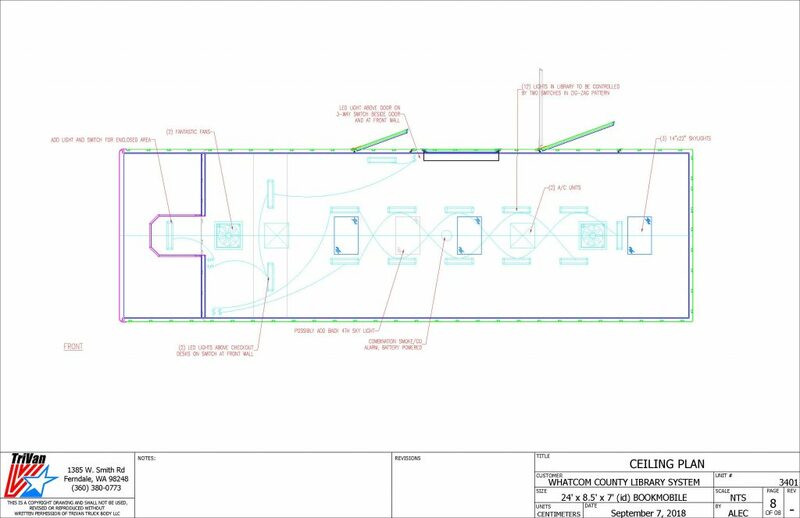 April 16, 2019: Insulation added, wheelchair lift and 42″ monitor installed. 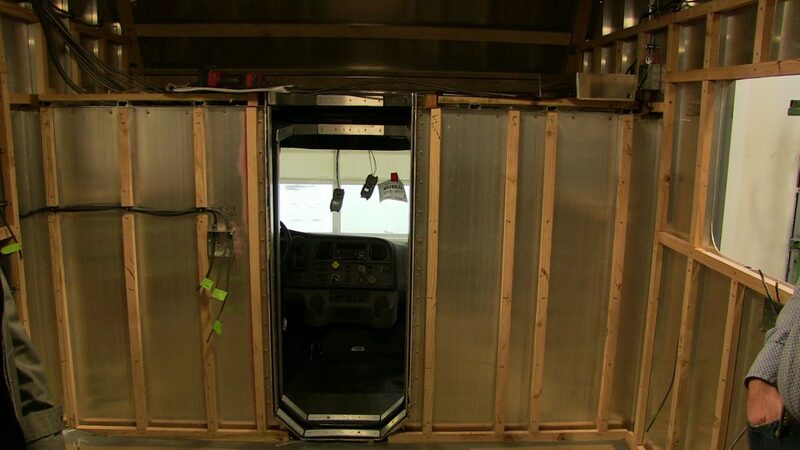 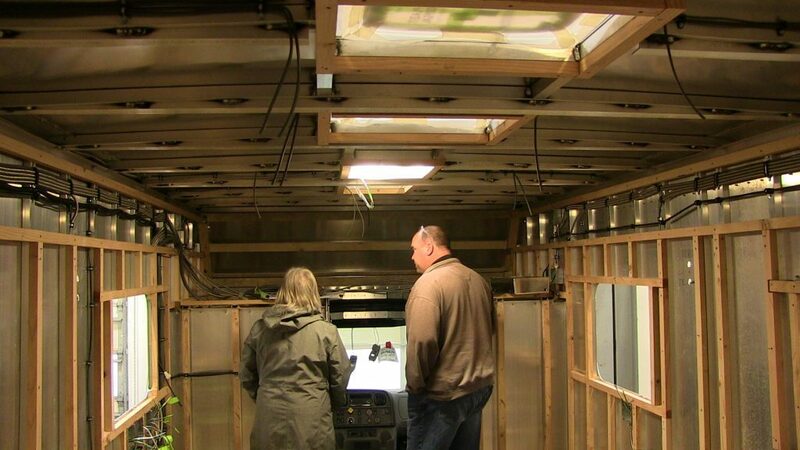 April 3, 2019: Last look at the interior before the insulation goes in. 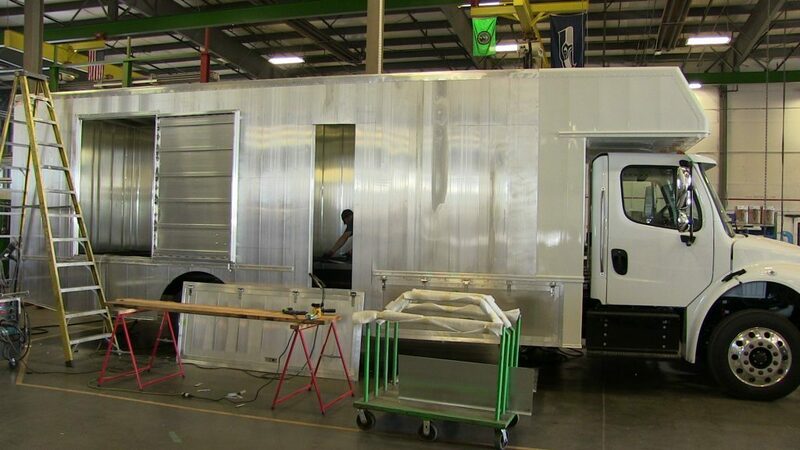 March 19, 2019: The pieces of the bookmobile are beginning to come together. 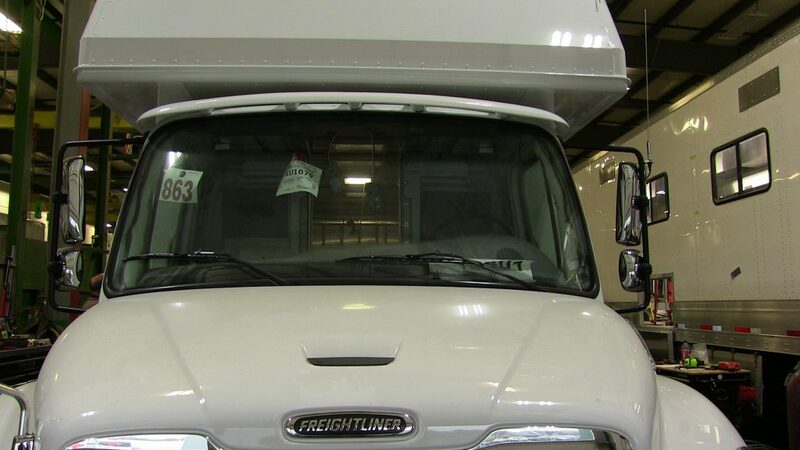 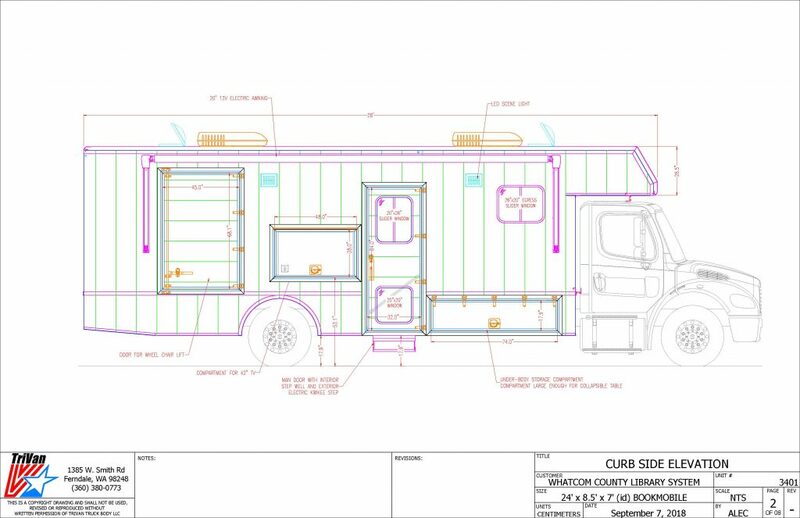 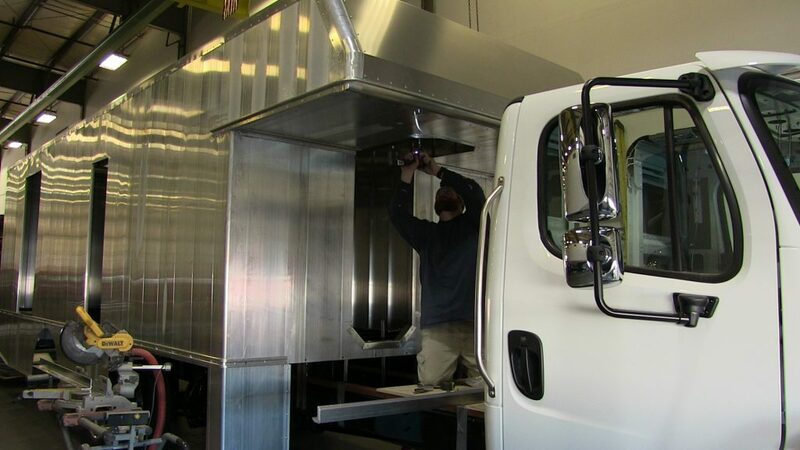 March 4, 2019: TriVan customizes the cab and bed of our bookmobile by adding an entrance from the cab directly to the bed. 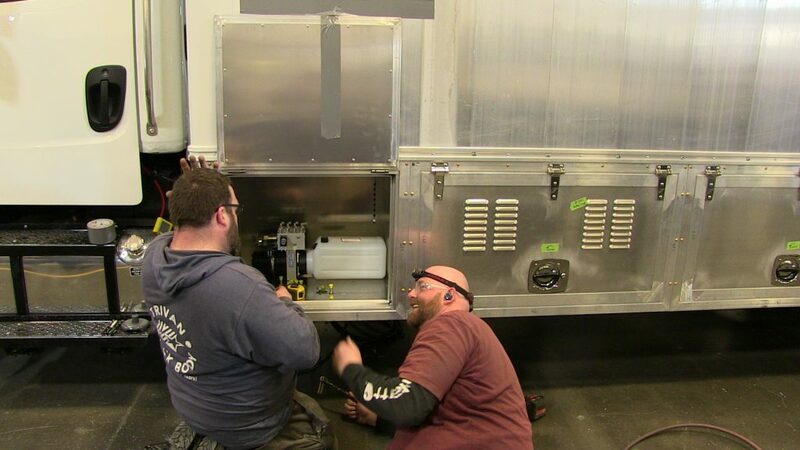 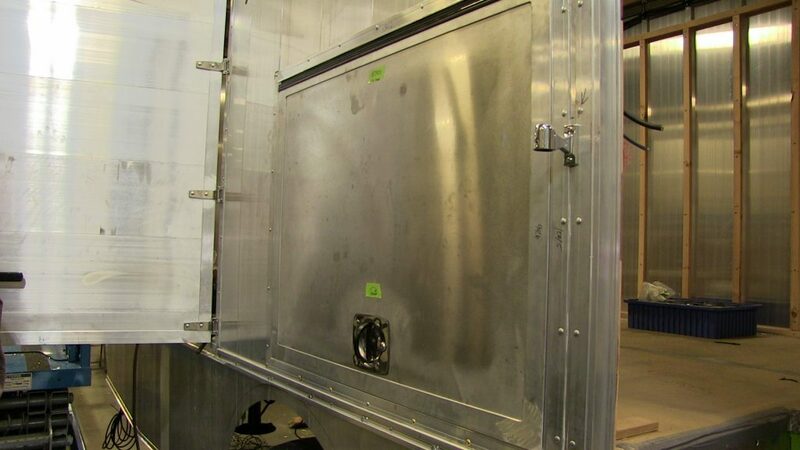 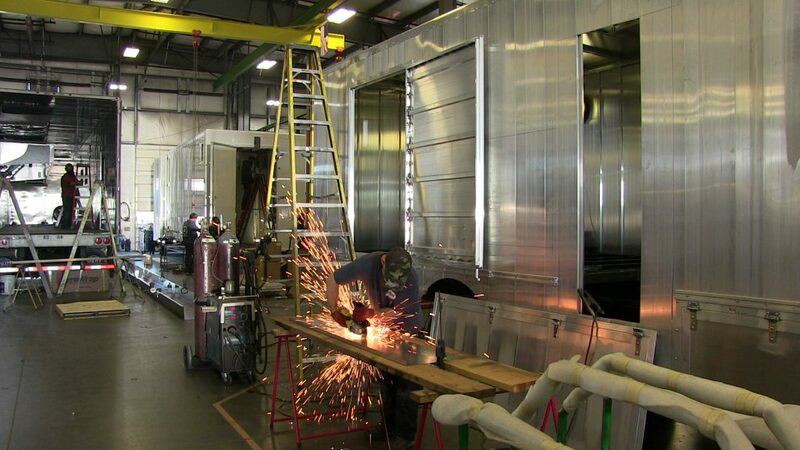 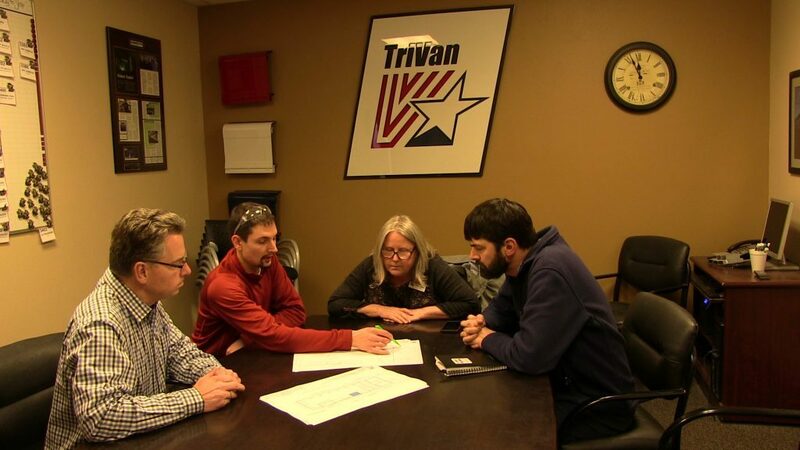 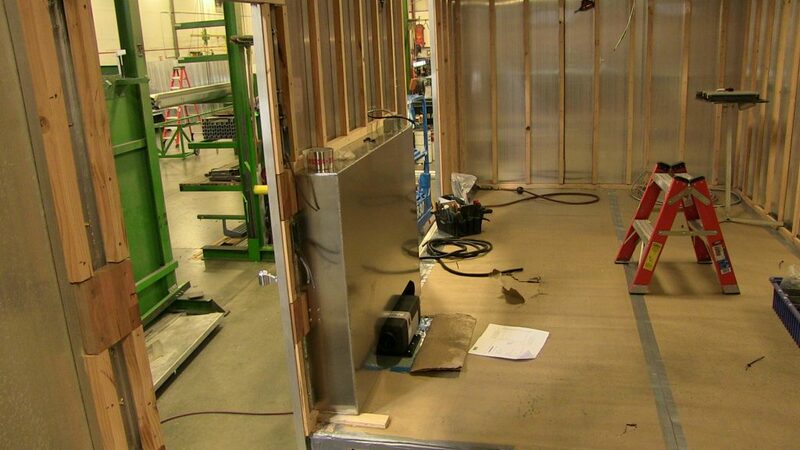 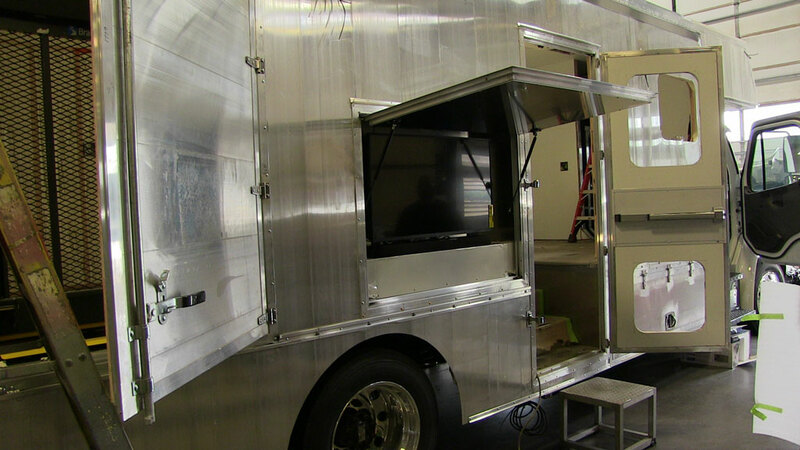 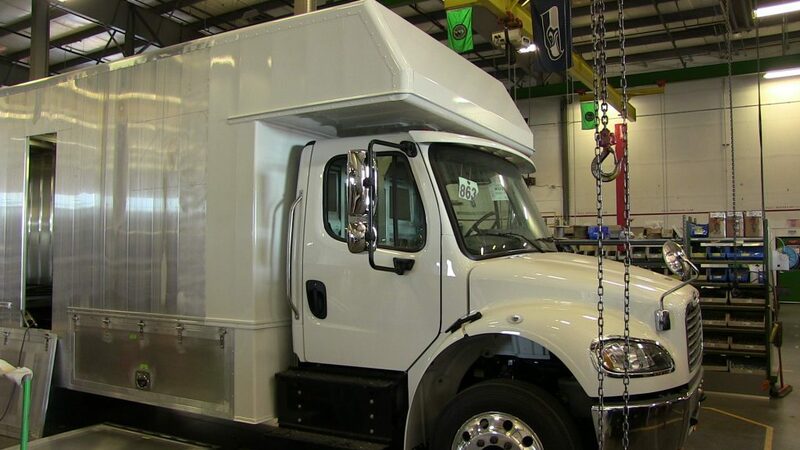 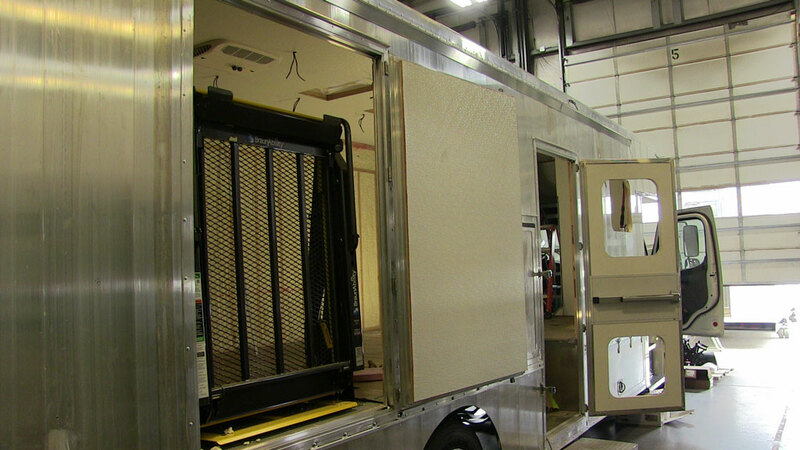 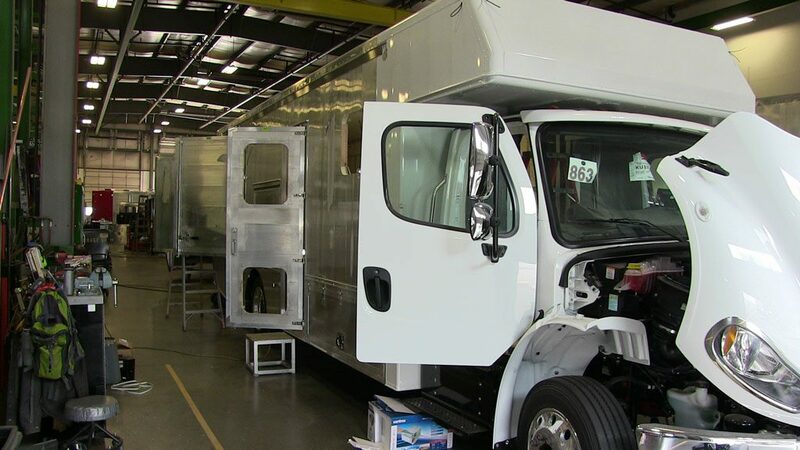 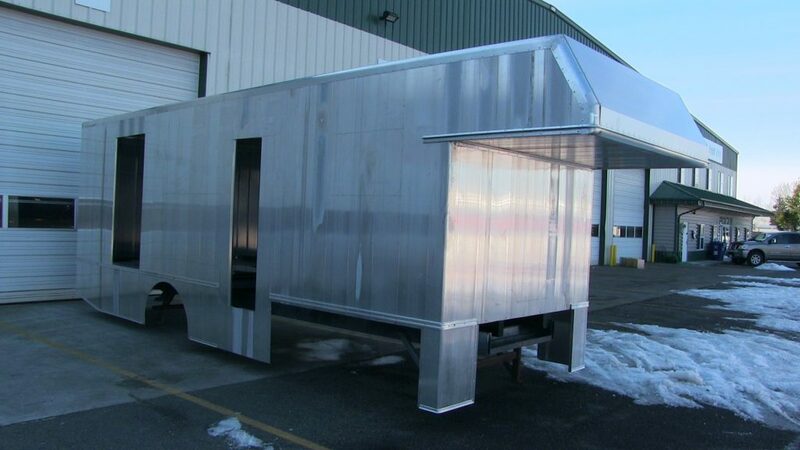 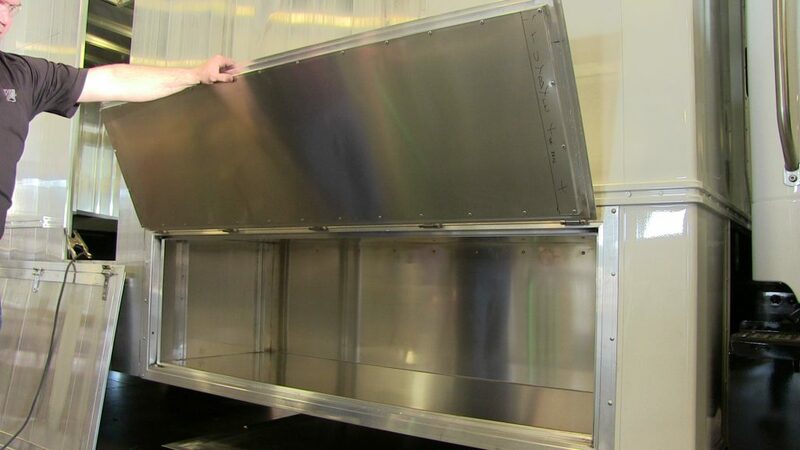 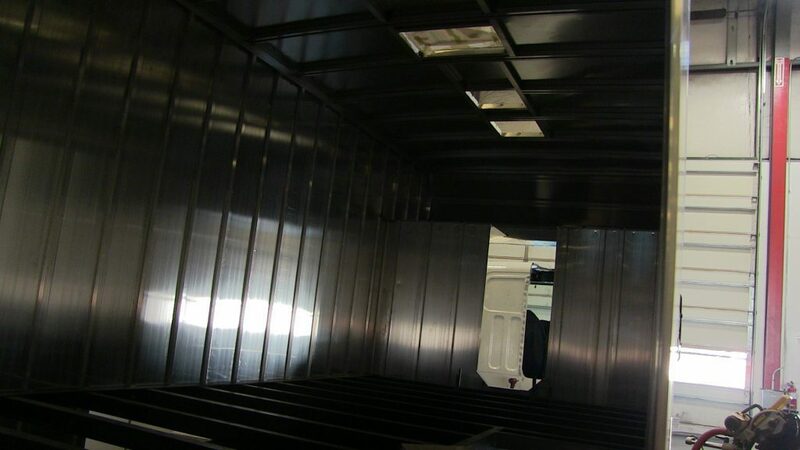 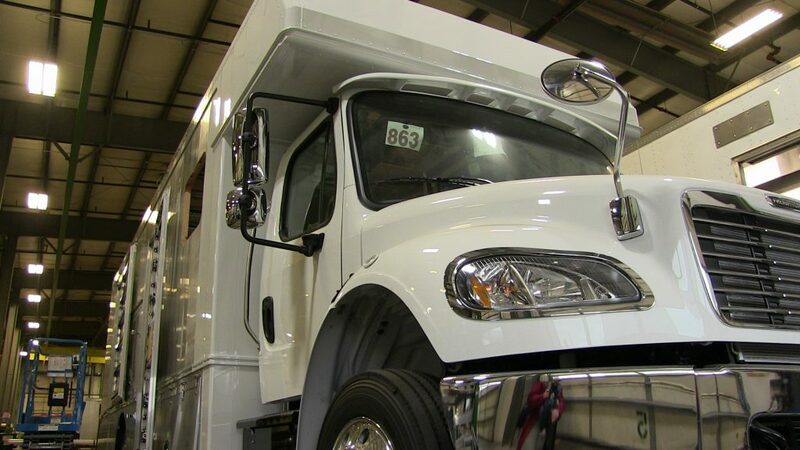 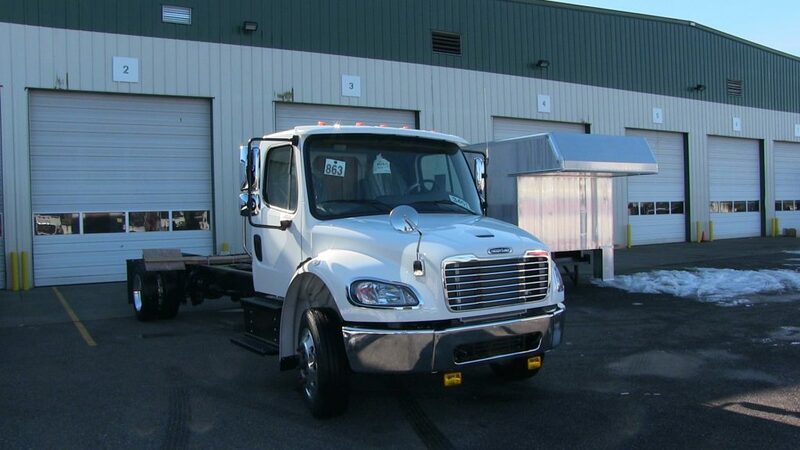 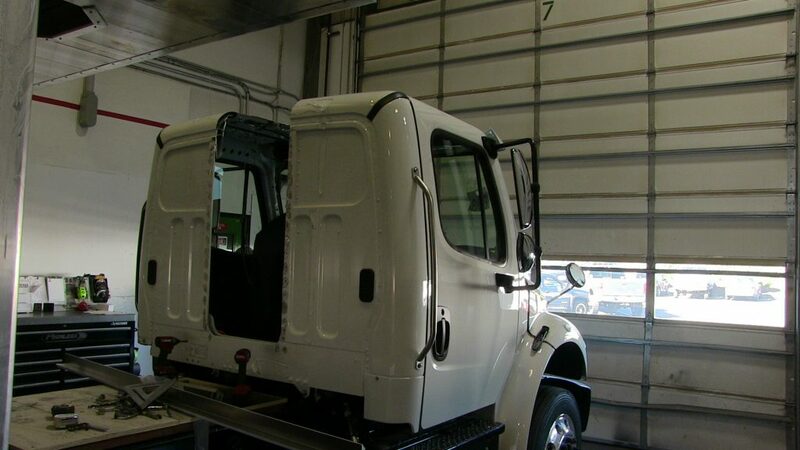 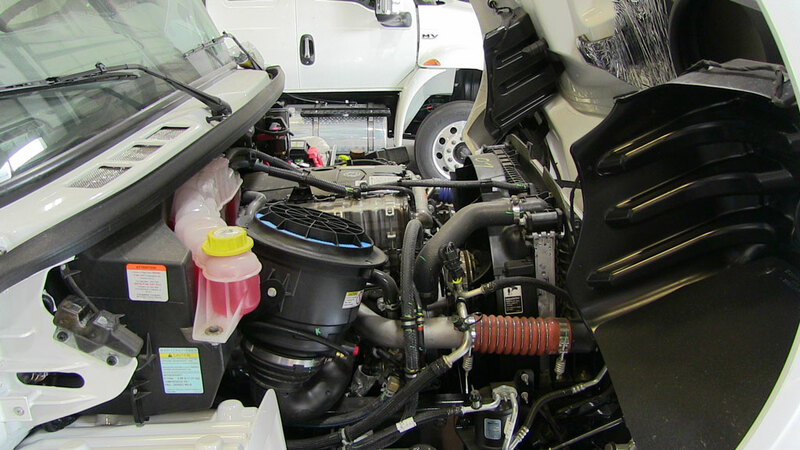 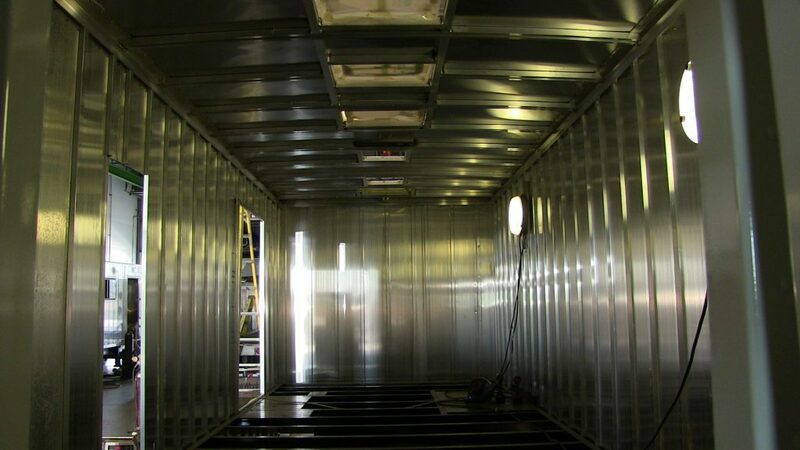 February 21, 2019: Our brand new bookmobile currently being custom-built by local truck body manufacturer, TriVan.